I have been communicating with a family relocating to Silicon Valley from Austin who think that the Belwood, Belgatos or Surmont area might be a good fit for them. They are open to other nearby areas, too, but the most important thing is that they want to be within the boundaries for Noddin Elementary School. 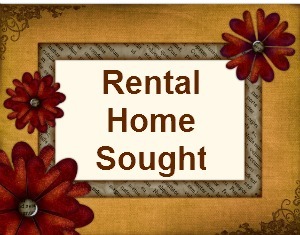 Do you have or know of a rental like this that might be available in June? Alarmed & two storey preferable but not a deal breaker. Reach me at 408 204-7673 or mary (at) popehandy.com. I’ll leave this info up as “market info” for those wondering what rents may be going for in the area. Most of Belwood, Belgatos and Surmont consists of houses on 10,000 or more SF lots so these will obviously be more expensive but this provides part of the range just the same. For people moving to the area from outside of Silicon Valley, it’s helpful information. My friend Grace Keng of ReMax has a 2 bedroom, 1 bath 850 square foot duplex for rent on Belwood Lane. It is offered at $1650 per month. If interested, please contact Grace at grace (at) gracekeng.com or phone her at (408) 799-8887.